Bright, fresh and summery! 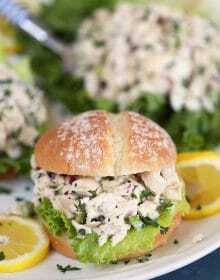 Lemon Tarragon Chicken Salad Sandwiches have a light, fruity flavor that is fantastic for summer. Light on mayo, this simple chicken salad recipe is fantastic all year long. 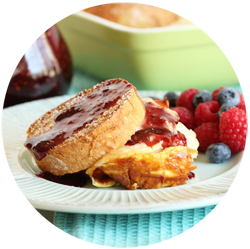 This post is created in partnership with Sara Lee. All opinions and statements are my own, as always. Who’s been spending as much time outside as possible lately? The weather has been absolutely wonderful with bright blue skies and sunny days. We had a brief heatwave (an another on the way) but I much prefer that to being stuck inside during the gray days of winter. I’ve been packing up my lunches lately for long days on the beach and picnics in the park. 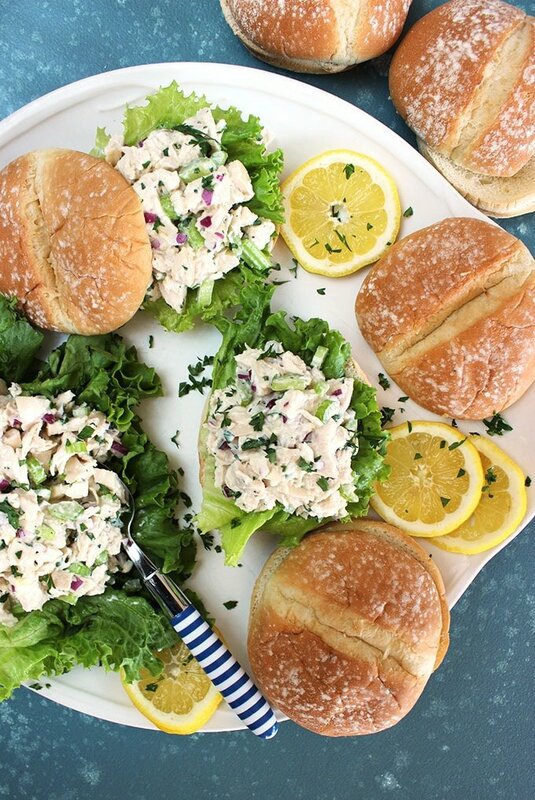 Light, fresh flavor has been key in making my favorite lunch staples a little more summery like this Lemon Tarragon Chicken Salad Sandwich. 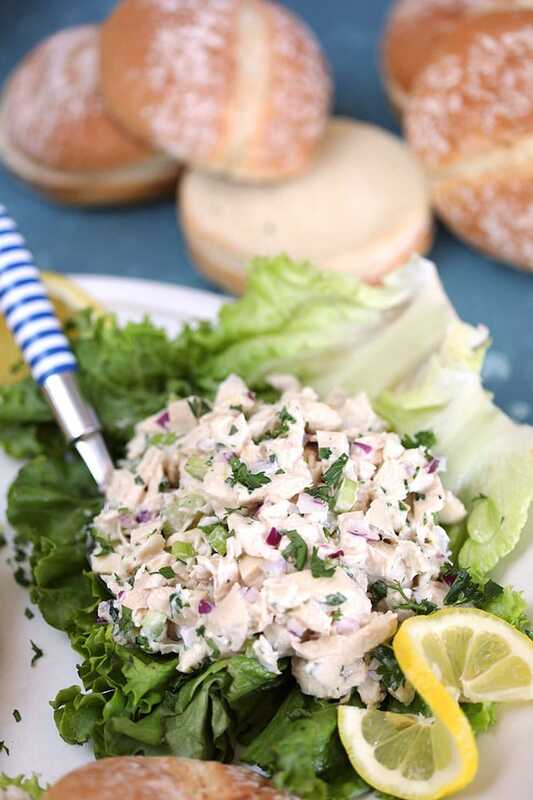 Just like my favorite Chicken Waldorf salad, this Lemon Tarragon Chicken Salad is a twist on the classic chicken salad recipe. Punched up with fresh lemon zest, lemon juice and fresh tarragon, it’s soon to become a summer favorite in your family too! An easy chicken salad recipe is quick and simple to make with just cooked chicken breast. Toss all your chicken salad ingredients in a big bowl and stir to combine. 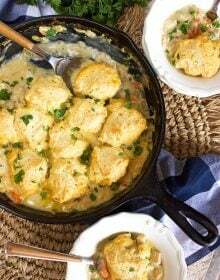 I like to make a big batch of this Lemon Tarragon Chicken Salad recipe to keep for the week so I can whip up quick sandwiches on the fly. What are the ingredients of chicken salad? The main ingredients in classic chicken salad recipes are usually pre-cooked chicken breast (I like to use THIS Roasted Chicken Breast recipe), chopped celery, red onion and a light mayonnaise based dressing. It’s a great starting point to then add your favorite twists on chicken salad like I did with this Lemon Tarragon Chicken Salad recipe. 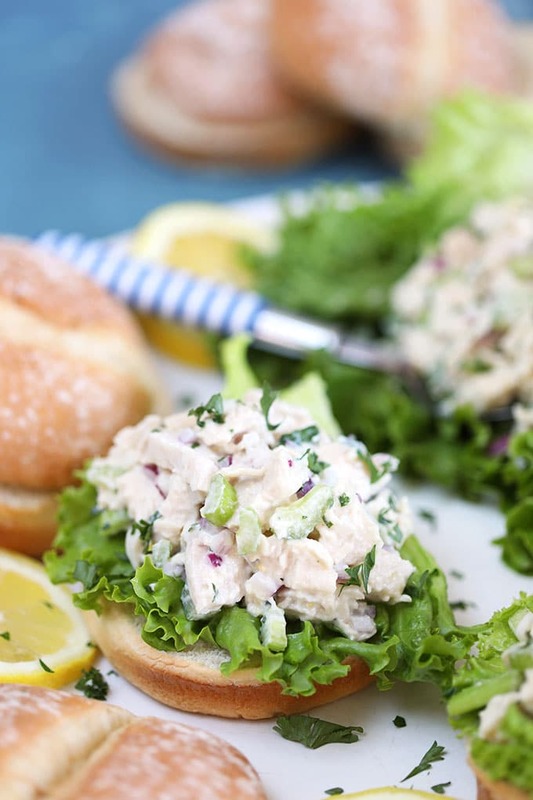 Fresh ingredients like lemon and tarragon really punch up the flavor for summertime making this the very BEST Chicken Salad recipe you’ll ever make. And it’s absolutely amazing on top of the brand new Sara Lee Artesano Bakery Buns! 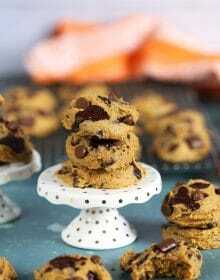 Their rich homemade flavor, soft texture, creamy taste and flour-dusted crust make them my go-to bun for sandwich making all summer long. 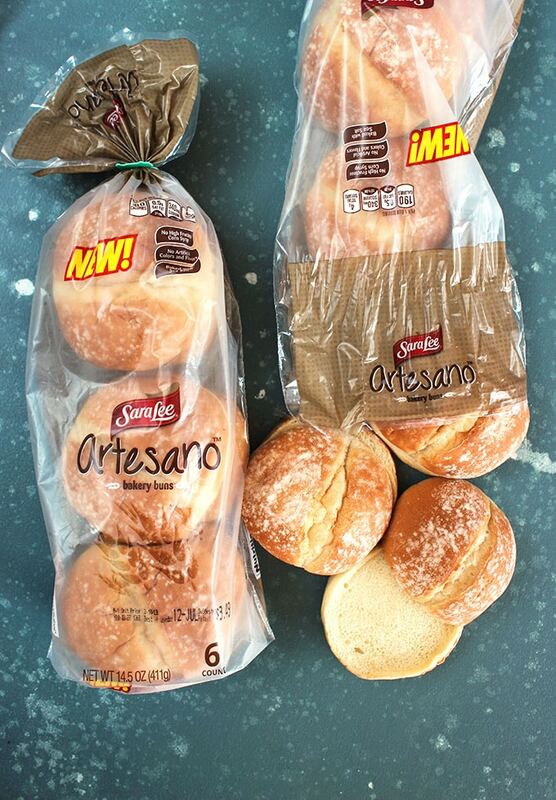 Sara Lee Artesano Bakery Buns contain ZERO high fructose corn syrup and are baked with a hint of sea salt. They even come pre-sliced making your sandwich making sessions even faster. I even love these buns for my FAVORITE burger recipes! 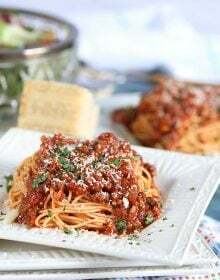 If you’re looking for some other ways to enjoy your Sara Lee Artesano Bakery Buns you should definitely try them with THESE Homemade Sloppy Joes for a quick weeknight dinner that’s secretly healthy…..or my favorite Tuna Salad recipe that will knock your socks off! For more easy recipes and behind the scenes antics follow along over on Instagram! 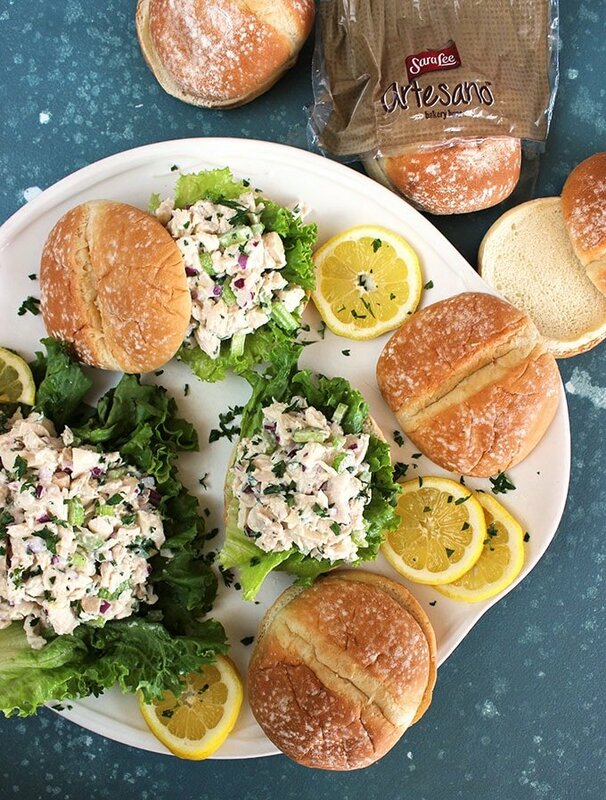 Quick, easy and so fresh tasting, Lemon Tarragon Chicken Salad Sandwiches are fantastic for lunch or a light dinner! In a large bowl, toss together the chicken, celery, red onion, parsley, tarragon and lemon zest. Set aside. 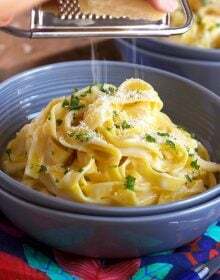 In a small bowl, whisk together the mayonnaise, lemon juice, honey, salt and pepper. Pour the dressing over the chicken ant stir to combine. Divide the chicken salad evenly among the bottom half of the rolls and top with lettuce, if desired. 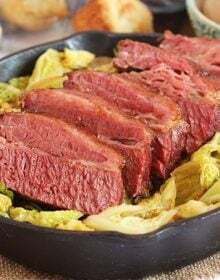 Place the top half of the roll on the sandwich and serve immediately. Chicken salad can be made up to 48 hours in advance and stored in the refrigerator in an airtight container. Such a good Summer lunch! Love all these flavors! 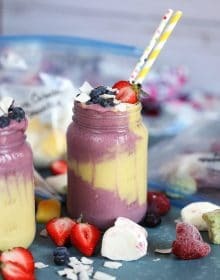 This is great lunch meal prep for the week! 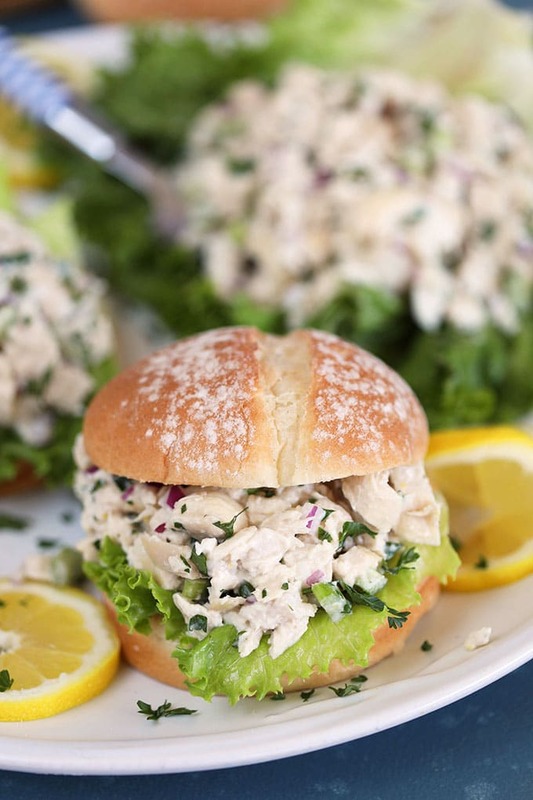 Loving the fresh lemon and tarragon in this chicken salad! 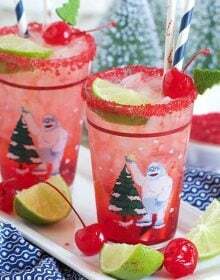 Love the amazing flavors in this. 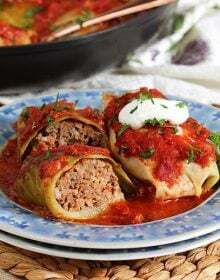 Perfect for a cool dinner or to have on hand for lunch!